I’ve you haven’t heard of Design Hotels, I’m sure you’re familiar with the Starwood Group. Starwood Hotels have held shares, since 2011, in Design Hotels and have recently, within the last 2 years, included the hotel group as it’s 11th brand within its profile. What does this mean exactly? Being a part of the SPG program allows guests of Design Hotels to earn points for their stay as well as be able to take advantage of additional benefits. 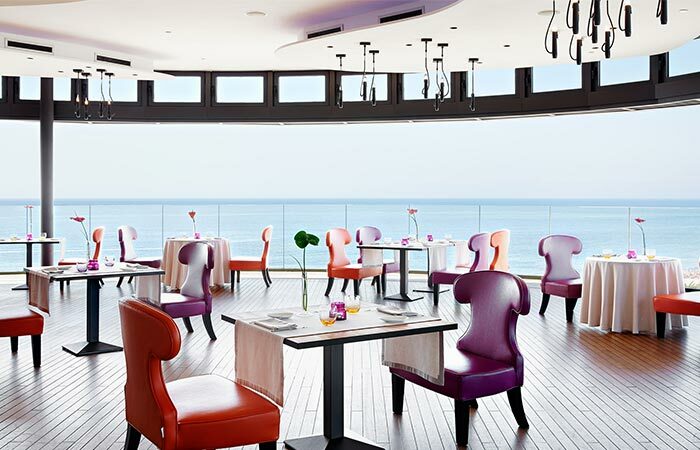 If you’re looking for that perfect getaway, romantic randezvous, summer fun beach holiday or want to do some nature exploring in a unique and incredibly beautiful location we recommend checking out the islands off the coast of Portugal and Northwest Africa and staying at one of the luxury hotels of the Design Hotels brand. Get ready to fall in love with 5 of the most incredible hotels on some of the world’s most beautiful islands off the coasts of Portugal & Northwest Africa. The boutique hotel brand, Design Hotels, was created in 1993 and now encompasses over 275 hotels and resorts worldwide; covering the Americas, Europe, Asia/Pacific, Oceania, Caribbean, Africa & Middle East. Known for being a brand that is lively and original, authentic in style and architecturally designed to provoke thought, those looking to stay in a hotel that offers incredible luxury accommodations with genuine hospitality will find all they’re looking for in this hotel brand. Design Hotels offers a luxury & boutique experience to their guests and focuses on their strong brand profile when designing their properties. Design Hotels strive to create an unrivaled global community for design, architecture and culture and become the definitive source for aspirational and original hospitality experiences. Member hotels are independently owned but united by a commitment to individuality, progressive design and cultural authenticity. If you’re thinking about booking a trip to an island that is easily accessible from mainland Europe, the following list will offer you the best luxury & boutique options for your accommodations while there. The first two Design Hotels in our list are found in the Azores archipelago, situated in the middle of the Atlantic Ocean; and are belonging to Portugal. They have been described as a version of Eden, a place where when you arrive, you will feel absolute peace and tranquility. The islands within the Azores Archipelago offer vast nature and beauty; you can see exposed tips of underwater mountains, visit one of the over 30 Blue Flag beaches, and explore the protected areas and marine reserves. Much of the topography of the Azores Archipelago is a display of the volcanic history. The islands making up this archipelago are not only ideal destinations for all the surrounding beauty but you can feel good traveling there knowing that the governmental bodies place high attention on making them incredibly sustainable and are working towards the goal of making renewable energy over 70% of the energy that is consumed across the islands. Still looking for a reason to visit? Why not go and partake in a whale watching adventure, try your hand at some water sports, dive the deep blue or hike Portugal’s highest mountain, Mt. Pico (over 7,700ft). 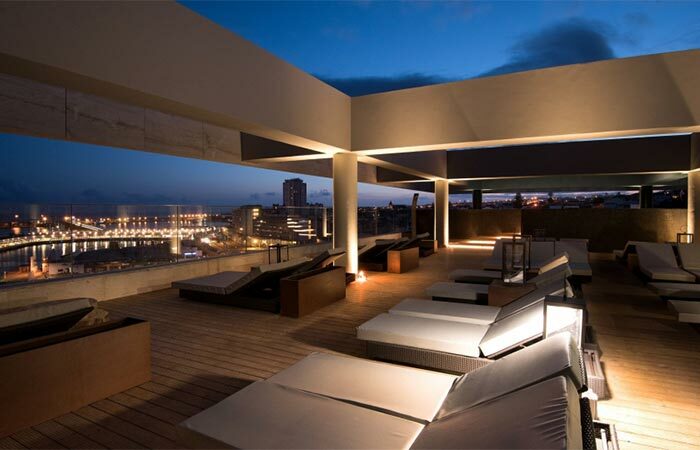 Also belonging to Portugal, the third Design Hotel we’ve featured, can be found on the island of Madeira. A beautiful oasis of dramatic scenery, natural wonders, and sheer cliffs that will make you pause with wonder. The rich diversity of the island can be seen in the volcanic soil from which everything grows; take a walk through some of the gorgeous botanical gardens and you’ll see what we mean. 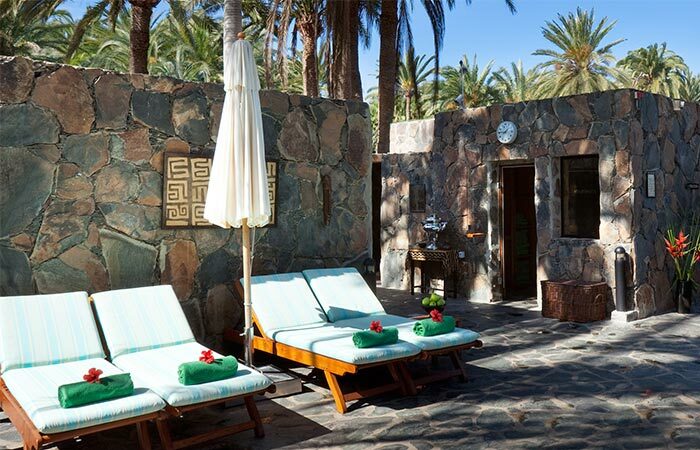 Finally, our last two features are on Design Hotels in Gran Canaria, Canary Islands, which are a collection of 7 islands in the Canarias Archipelago belonging to Spain and are located off the coast of Africa. The Gran Canaria is the 3rd largest island in the Canarias Archipelegao and is filled with unspoilt peaks and valleys, white sandy beaches, volcanic landscapes and Macaronesian flora. With 236 km of coastline and 60 km of beaches, Gran Canaria is a prime destination to head to if you want to indulge in sun, sand, and green landscapes. 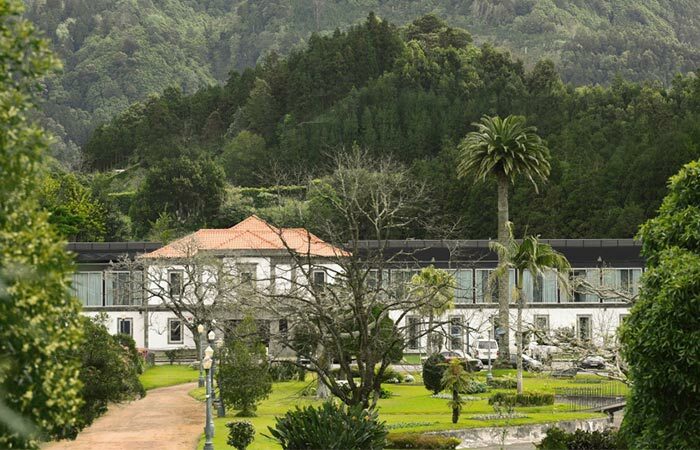 Escape to a world of relaxation and find absolute peace and tranquility at the Furnas Boutique Hotel Thermal & Spa. The nature inspired interior design of the hotel and displays of dramatic realism are showcases by Nini Andrade Silva, the Portuguese designer. Some great features of this property is its lobby market which is where you’ll find the reception, lounge, a restaurant and a grocery store all open 24/7 for your comfort and convenience. If being treated to some TLC is your main priority while on your vacation, you’ll be able to indulge here by taking advantage of the hotel’s wellness program and thermal spa or by booking a treatment in one of their 10 treatment rooms. The wellness centre includes a thermal circuit, Turkish bath, aromatic showers, and a sauna; all are enriched with Furnas’ thermal spring waters. Find the perfect relaxation in one of the 54 rooms and suites in the hotel. Decorated in a colour palate of greens, browns and while, Nini creates a space that is inspired by Azorean Volcanic vapors and the colours of the earth. 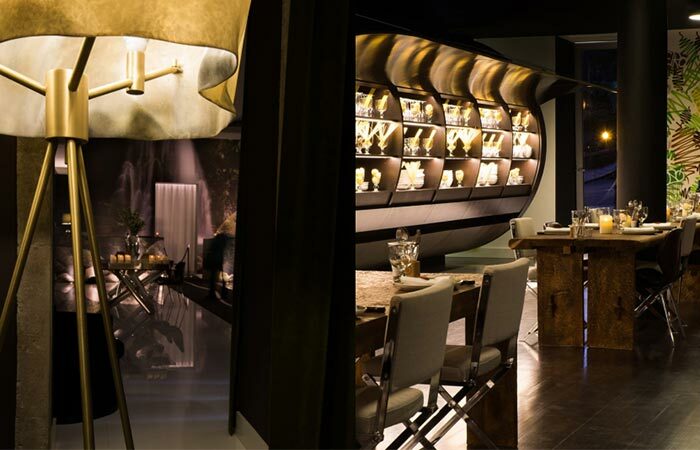 The designer has created a soothing interior that beautify contrasts the contemporary and vintage furniture. Bathrooms are spacious and done up in marble; feel as if the spa has been brought to your room with the selection of Milton Brown bath products that you’ll find on arrival. 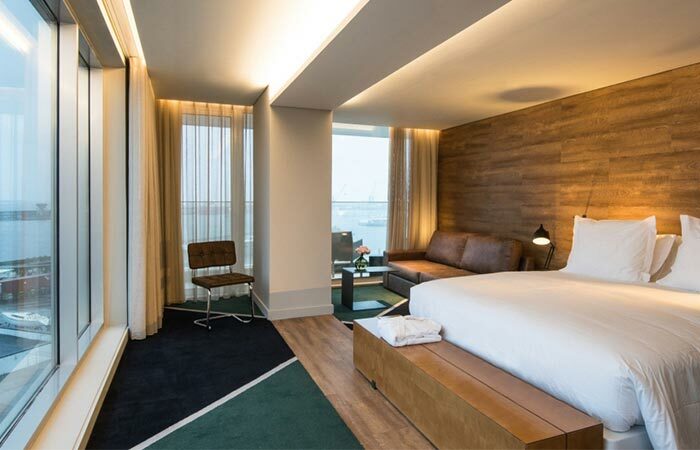 Situated next to the marina in Ponta Delgado, the Azor hotel takes its design inspiration from the sea and volcanic nature of the Azores island. 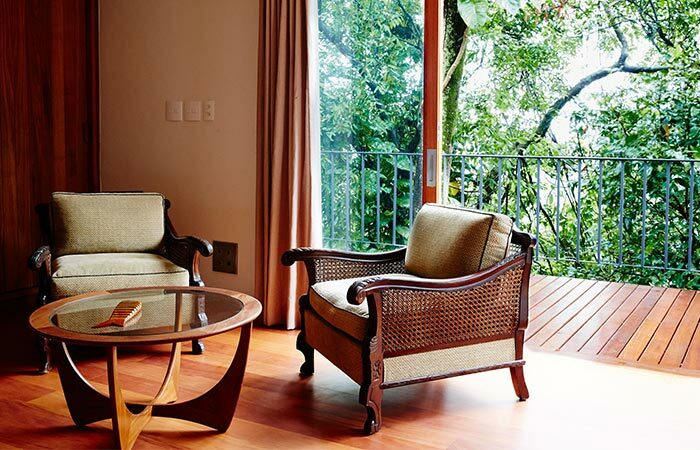 The mix of consmopolitan interior and natural decor, reminding guests of the hotel’s remote location, is another piece of work by Nini Andrade Silva. Similar to the Furnas Boutique Hotel, the Azor also includes a Lobby market full of local cheese and other delights, tapas, and products to take away and bring home. If you’re in need of some relaxation, head up to the rooftop pool and bar where you can kick back and enjoy the view. 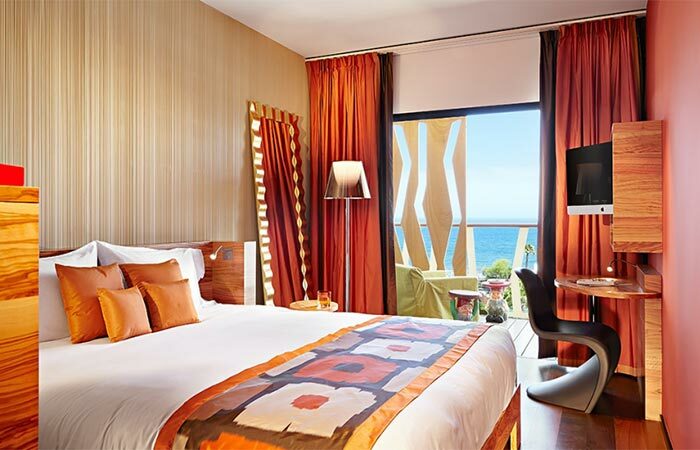 No matter which room you choose, you’ll be able to enjoy sea views from your private balcony. Contemporary interior designs with nature inspired influences make each of the hotel’s 123 rooms a beautiful oasis for your next vacation. The dramatic landscape of São Miguel is reflected in the exterior build of the Azor hotel, giving the illusion that the hotel is levitating above the harbor. For a true luxury hotel experience, you’re not going to want to miss out on booking in at the Azor hotel. 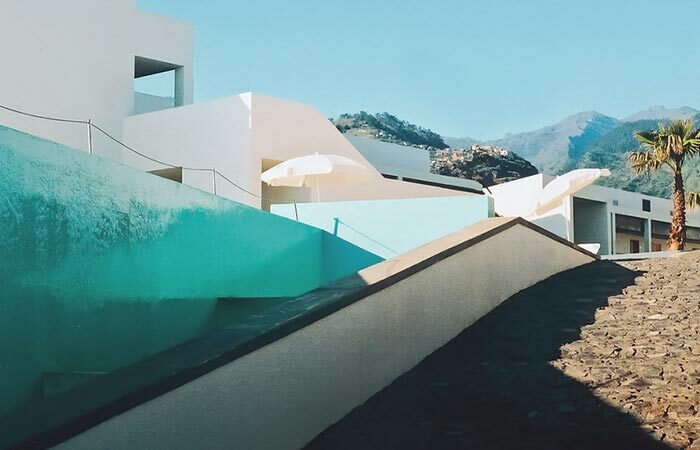 Simple yet exquisitely designed, this Design Hotel is set outside of the village of Ponta Do Sol, atop the jaw dropping cliff side coast of Madeira. Various walkways around the property provide visitors with surrounding mountain and ocean views. Designed by Tiago Oliveira with the help of interior designer Carvalho Araújo, together they have created a property with a certain energy that attracts unique guests from all over. 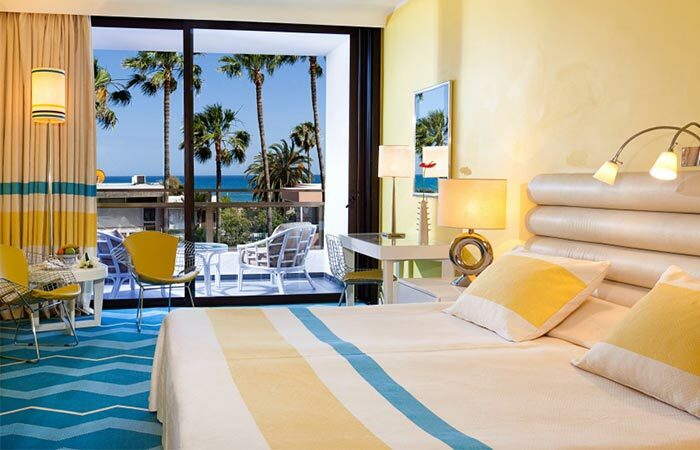 No matter which room, in this 54 room hotel, you choose you’ll be in a treat for luxury ocean views; all guest rooms have a private balcony for you to enjoy. 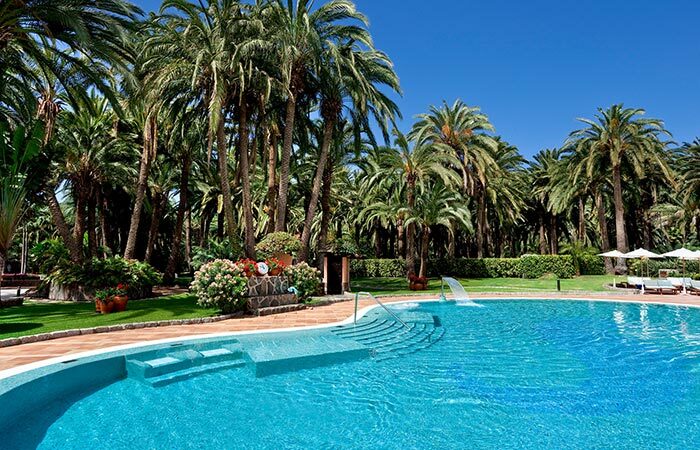 If you’re interested in kicking back beside the pool, you won’t be disappointed here. 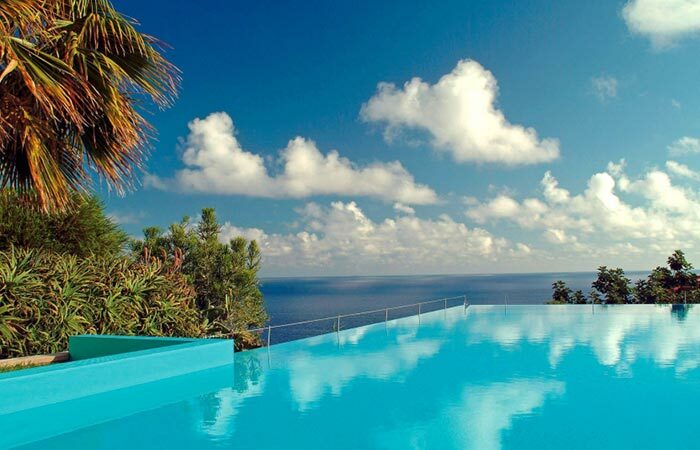 Take a swim in the infinity edge pool, overlooking spectacular views of the ocean and banana plantations below. 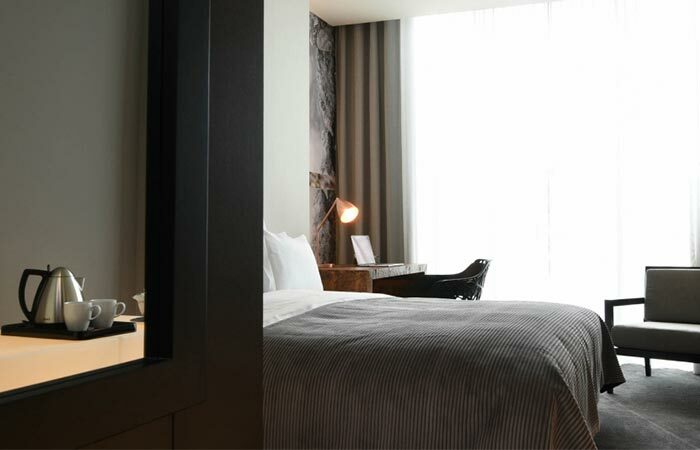 The monochrome interior design of the hotel rooms, display a minimalistic approach to the design. White walls, light wood furniture, black stone floors, and gray rugs add to the simplicity. Next time you’re looking for a cliff side retreat, look no further than the sophisticated simplicity of the Estalagem Da Ponta Do Sol. 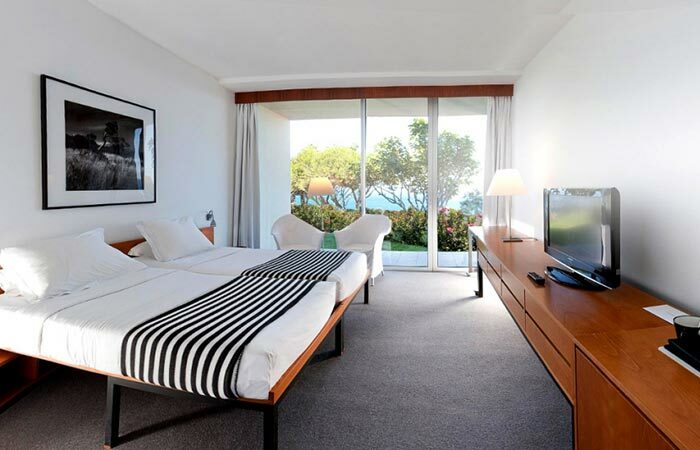 Built in the 70’s, Bohemia Suites & Spa has been labelled by Design Hotels, as ‘a sophisticated Lifestyle oasis for adults’ Whether you want to get away for a week with friends, or find that perfect romantic getaway, the secluded oceanfront property will not disappoint. Treat yourself to panoramic views of the Atlantic Ocean while you dine in the rooftop restaurant of Bohemia Suites & Spa or enjoy a custom treatment in the Sia Spa. Towering over volcanic peaks you’ll feel as if you been dropped in paradise. Originally with double the rooms, this now 67 room property offers guests wide open living spaces with private balconies. Designed to mirror the rise and fall of the surrounding dunes, guest rooms have angular vertical shutters, allowing in delicate rays of warm light through casting shadows on the colours in the room and creating a warm and inviting atmosphere. The entire design and color scheme of the hotel makes guests feel as if they’ve been enveloped by nature. Mahogany floors, olive wood furniture, contemporary and futuristic in design, the irregular shapes and color palates created a unique look to this Design Hotel property. Designed by Alberto Pinto, a Parisian architect who brings late modernist design together with old school elegance; he’s created a Miami Beach story facade to the building and played on the surrounding nature to provide inspiration to the design. 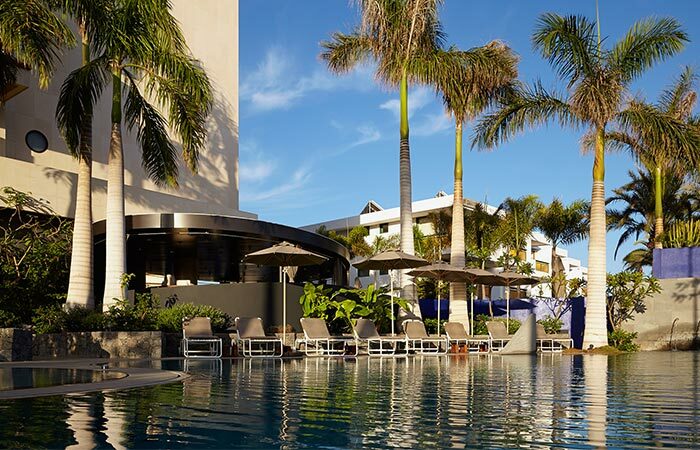 Situated in a palm tree oasis on the edge of a nature reserve, near to the dunes of Maspalomas, close to a 5 mile sandy beach, and only 45 min by car to Las Palmas puts the Seaside Palm Beach Hotel in the ideal location. Celebrating sunset, sea and sand, all of the 328 rooms in the hotel follow a dramatic colour scheme, showcasing war tones that mimic sunlight. Vintage modern would best describe the interior furniture and design of the guest rooms. 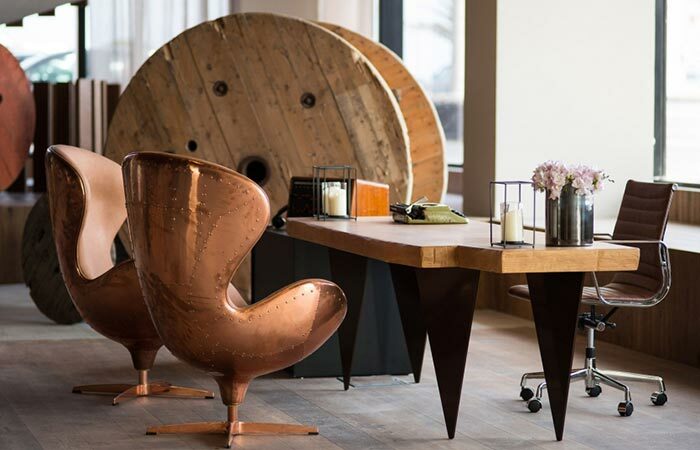 Worth checking out, here’s a quick list to a few of the most unique Design Hotels in Europe. Expect The Unexpected, In Mozambique!